As a seamstress I have a hard time finding just the right books and patterns for my projects. As far as patterns, I use all that are available at my local fabric stores and occasionally a project comes up that I have to make a custom pattern for. 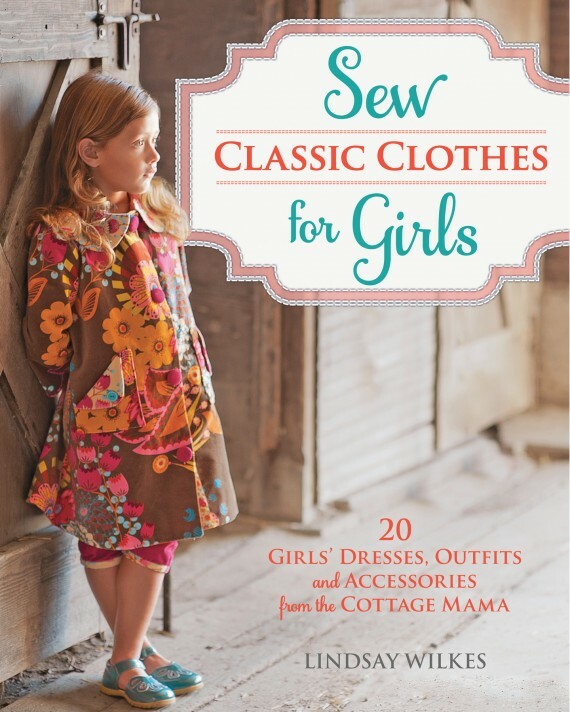 Well I have news for you all The Cottage Mama, Lindsay Wilkes, has just released her first book ‘Sew Classic Clothes for Girls: 20 Girls’ Dresses, Outfits and Accessories from The Cottage Mama’. I am super excited to order this book. Be sure to view The Cottage Mama blog for all the information you need to purchase your book. There are plenty of wonderful pictures included in The Cottage Mama blog for you to see just what patterns you will be getting with your book. I personally will be ordering my book straight from The Cottage Mama web-site as I want my book to be signed.